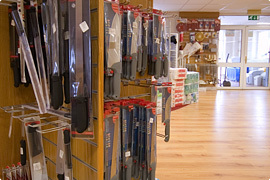 Gilmartins Catering & Hygiene Supplies is a family business that was first established in 1924, when Charlie Gilmartin Snr. 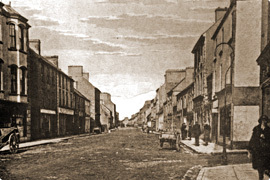 first moved to Kiltimagh together with his wife Katie. Gilmartin & Waldron was set up as a wholesale grocery company servicing shops in most parts of County Mayo, after a number of years the partnership was dissolved and Charlie Gilmartin continued to trade successfully with grocery shops throughout Mayo for many years. By the 1960’s Charlie’s sons P.J and Cathal were involved in the business and it began to diverse into Wholesale Beer Distribution from a bottling plant in Thomas Street, Kiltimagh, however in the late 1970’s there was a big change in the pub trade and the business concentrated on supplying glassware and bar sundries to pubs and hotels in the West of Ireland. In 1993 PJ Gilmartin together with his son Shane set up Gilmartin Catering & Hygiene Supplies, which operated from a store in Chapel Street, Kiltimagh. As the business grew throughout the 90’s it again diversified, and took on new ranges of products from international renowned suppliers like Rubbermaid, experts in food storage and janitorial supplies, Churchill Crockery, Bourgeat, Matfer, as well as Le Chef uniforms and Arcoroc glassware. 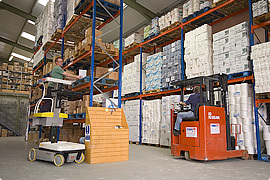 The company expanded its supply area to include Galway, Mayo, Roscommon, Sligo and Leitrim. This growth meant the company opened a showroom at its premises on Chapel Street, where customers could come and view the companies catering, hygiene and now kitchen supplies on location. 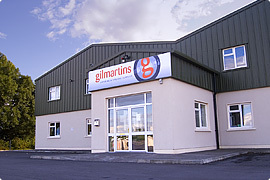 The showroom provided Gilmartin’s with the venue to promote its vast range of catering & hygiene Supplies which has lead to it becoming the leader in its field in the West of Ireland. Due to its continued expansion the thriving business had to move to a purpose built, 16,000sq ft warehouse and showroom on the Bohola road Kiltimagh in March 2006. The company continues to grow successfully and now concentrates its business on supplying hotels, bars, restaurants, deli counters, schools, canteens, shops, factories, county councils and offices throughout Ireland, with catering and hygiene products. Gilmartin Catering & Hygiene Supplies achieved the ISO quality management system in 2004 and have been operating successfully with this quality ISO 9001 mark since. We currently stock over 5000 lines and we pride ourselves on providing a first class service to all our customers. We provide a weekly delivery service to all parts of Ireland and a next day delivery on demand. The Gilmartins team wish to thank all our customers both large and small, with our trade partnership and understanding we can all grow and prosper.